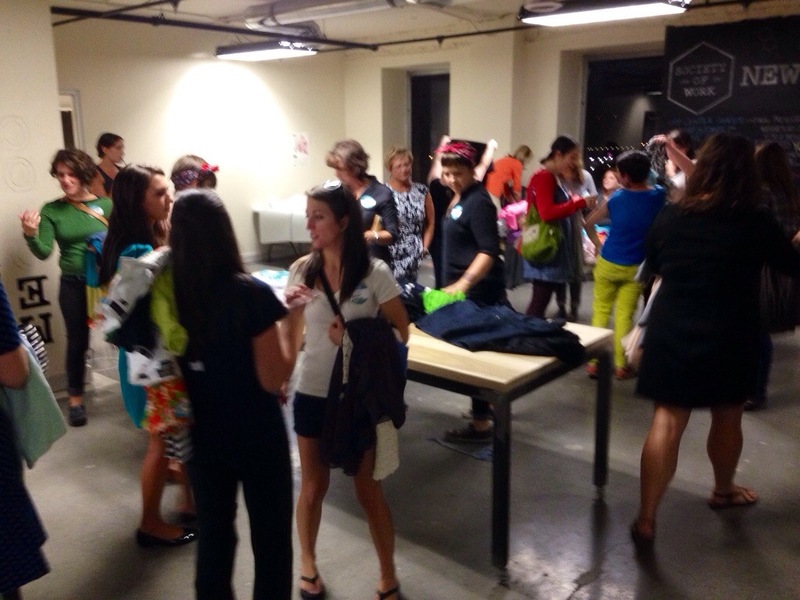 Through Facebook, I found myself invited to a clothes swap event last week. For those of you who are unaware, clothes swaps are sort of like free garage sales. The girls invited bring clothes they no longer want, but are clean, unstained and undamaged (every swap has a different rule about how many articles are clothing are required for attendance). The clothes are piled together – sometimes sorted – then someone yells ‘Go!’ and it’s a free-for-all. You dig through the clothes and pull items that interest you. When you have a collection, you try them on. Toss back the clothes you decided against, and then resume digging. It’s an excellent way to recycle, and a lot of clothes swap donate any extra clothes left at the end to a charity. I also think it’s a fantastic opportunity to try new styles; after all, if you don’t like it when you get it home, you haven’t lost anything. This clothes swap with my third to attend. The first two were in Europe. The girls in Europe were nearly all girls who were studying abroad there, and only had what clothes they could fit in their suitcases when they flew in (or took the train). After a while, they were sick of what they’d brought, but couldn’t buy more because: A) they were poor college kids, and, B) they could only leave with what fit in their suitcases when they arrived. It was lovely for them to refresh their wardrobe without spending any money. 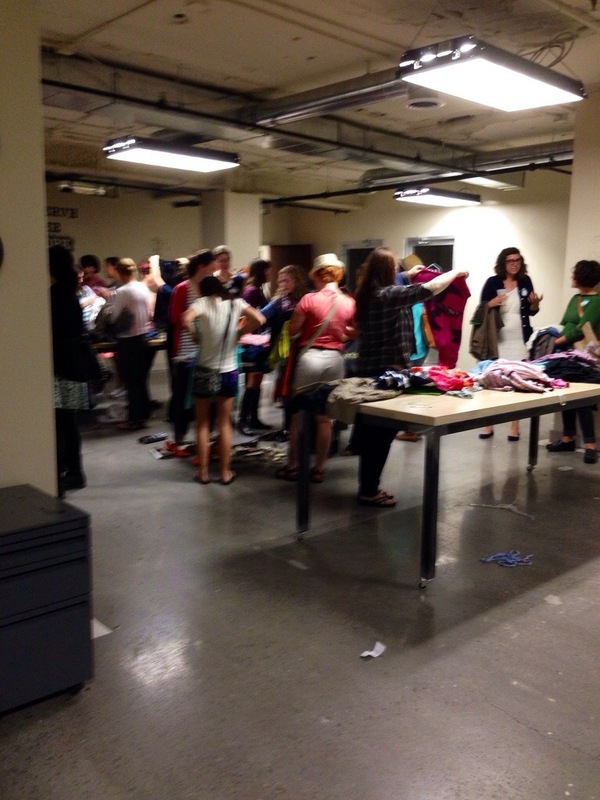 The clothes swap from last week, however, was the largest I’ve ever been to. 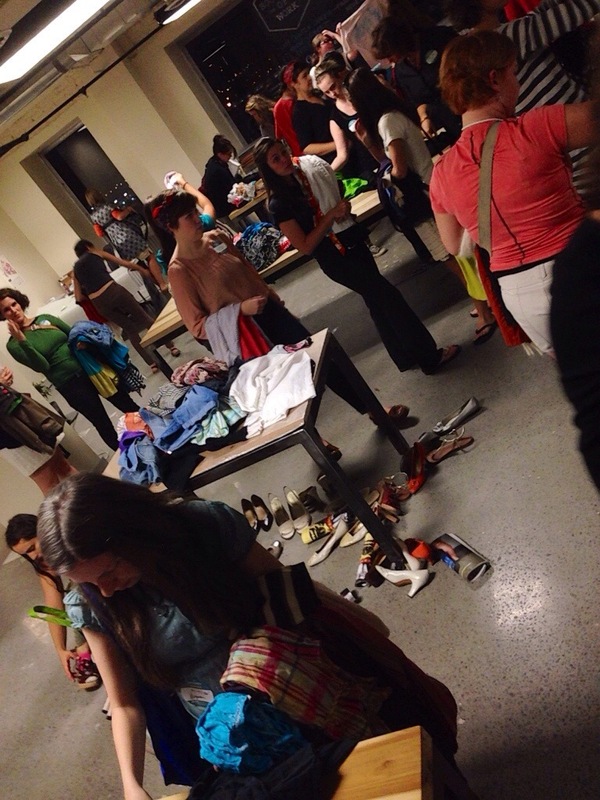 There were a lot of girls there – which is good, because that means there were a lot of clothes! At this meet, they just threw everything on tables and left it unsorted. I was surprised to find, when I arrived, that there was alcohol at this meeting (I must not have read the information very well). Apparently, there exists a group called The Whiskey Women who are rather passionate about the fact that whiskey consumption is not exclusive to men. They provided the drinks. 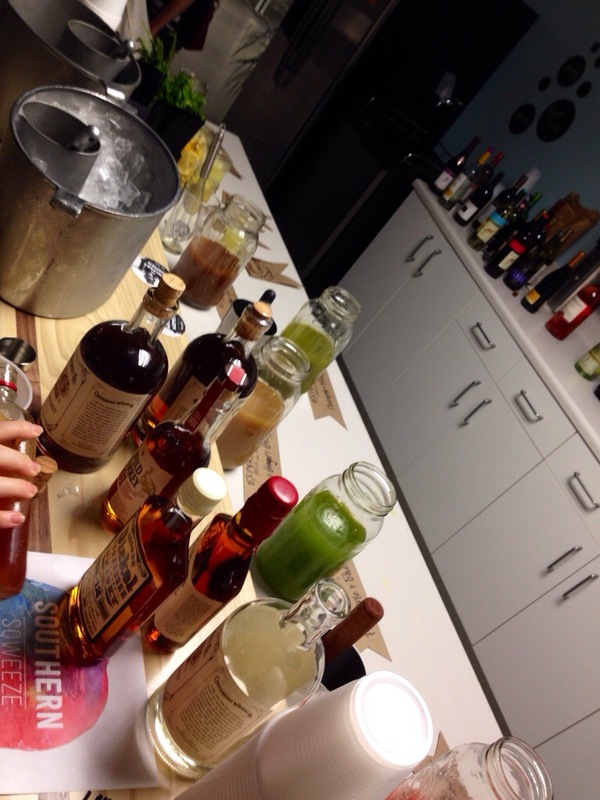 As you might have guessed, it was all whiskey. They did have some fresh juices to mix it with, if preferred. But it was a nice gesture.